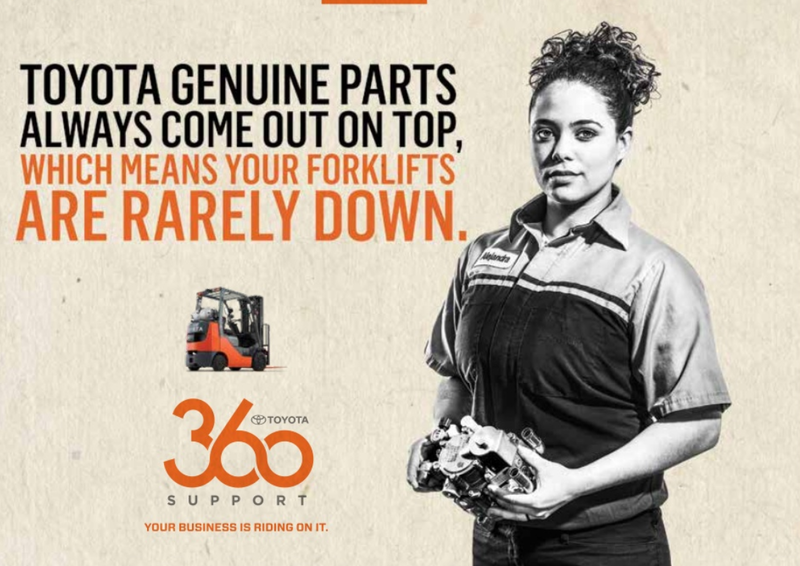 Home>Forklift, Parts, Toyota>Why Do People Think All Forklift Parts Are Equal in Quality? Do you know what downtown costs your business? Some large businesses value downtime as high as $3,000 per minute on a smaller scale downtime can typically cost $15 per minute which is still $900 an hour and over $21,000 in 24 hours when your forklifts are down your company is down and losing money quick Toyota’s flexible maintenance plans coupled with Toyota genuine parts and the star lift parts program all work together as a one-stop shop to keep your business up and running. When forklifts in your fleet need new parts, you face a decision. Do you continue with Toyota Genuine Parts or do you save a little with a non-OEM part? The cost difference is negligible, but the long-term benefits of sticking with Toyota Genuine Parts pay dividends month after hardworking month. When Toyota Genuine Parts are installed by Toyota 360 technicians, they’re covered by an industry-leading two-year warranty. That’s twice as long as our competitors. And those parts pale in comparison to Toyota-caliber quality, reliability, and long-term value. 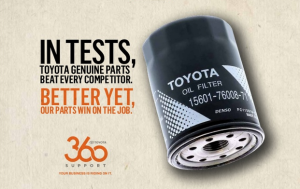 The superiority of Toyota Genuine Parts is backed by comprehensive testing that simulates on-the-job conditions. The results of these tests are illustrated on each product page. If you’re still skeptical, or if you enjoy reading about parts testing, we’ve provided the test dates and conditions in the Appendix of this brochure illustrated here. In test after test, Toyota Genuine Parts outperformed and outlasted every competitor we threw at them. So, when you have a downed forklift and you’re deciding which part will make the best replacement, make the choice that saves you money, saves you downtime, and saves you headaches. For more information, insights or conversations regarding your forklift or material handling needs. You can visit our online contact form, use our contact form seen to the right, call me at 763-315-9288 or email kthill@toyotaequipment.com. We would welcome the opportunity to cover your material handling questions or concerns. Toyota Lift of Minnesota works very hard to be your partner and material handling, consultant.